India is poised to be the world’s third largest economy by 2030, according to Economic Affairs Secretary Subhash Chandra Garg. While India has witnessed strong economic growth in recent years, it has not made commensurate progress in other areas, such as healthcare. Improvements in healthcareexpenditure, outcomes, and infrastructure, especially on the public side, have not kept pace with economic growth. In fact, poor quality of healthcare is the biggest cause of preventable deaths in India. A 2018 report published in The Lancet showed that nearly 2.4 million Indians die of treatable conditions every year. The scenario continues to be dire for the country’s rural and urban poor citizens, who have little or no access to quality, affordable, healthcare. Hopefully, visionary government schemes, such as Ayushmaan Bharat, if funded appropriately, will change the face of healthcare for these groups. One sector that can play a pivotal role in transforming Indian healthcare is the MedTechsector. Although small by global standards, the MedTech market in India is estimated at about $10 billion (Rs.70,000 crore). This market, growing at 15-20% annually, is expected to cross $25 billion (Rs.175,000 crore) by 2025. The MedTech sector includes a multitude of products, from syringes and bandages to MRI and CT machines, from simple surgical tools to cutting-edge robotic surgery platforms- and comprises over 100,000 different devices, diagnostics, and consumables. From diagnosis, to monitoring, to treatment, to end of life support, MedTech touches all aspects of patient care. It is no wonder that an innovative MedTech sector is a cornerstone of any successful healthcare system- and is the need of the hour in India. The Indian MedTech sector continues to be dominated by imports, which account for 75% of the market. So far, Indian companies have been making “me-too” products, which compete with MNCs primarily on affordability. However, there is a new crop of MedTech startups which are creating novel technologies and proprietary, patented, products for healthcare challenges facing the ordinary Indian. This new wave of MedTech is driven by purposeful innovation- i.e. innovation that addresses specific challenges, and taps associated economic opportunities, seen in Indian healthcare. 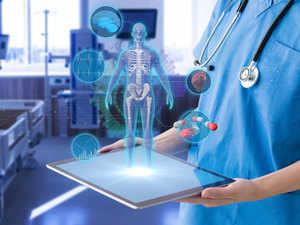 Globally, MedTech is a focus sector for startups – a study of technology incubators showed that over 25 per cent of incubated start-ups were in MedTech, the second largest sector after IT. In India too, startup activity in the MedTech sector is growing by leaps and bounds, albeit from a low base. Today, there are several startups solving Indian healthcare challenges by creating novel technologies and generating global intellectual property in the process. Startups are tackling challenges such as hypothermia management in premature babies, lung infection in ventilated patients, life support for babies outside the NICU, more accurate labor monitoring, vertigo diagnosis, post-cardiac event monitoring, and screening for blindness, cancers and other conditions. These startups leverage cutting-edge technologies such as machine learning and artificial intelligence, along with electronics, mechanical engineering, and product design expertise, to create innovative, patented, products that not only serve Indian needs, but address global market opportunities? Globally, MedTech startups have access to both grant and equity (VC) funding at all stages of product development. Thankfully for Indian startups, grant funding for innovative MedTech projects has increased exponentially over the last few years. BIRAC, the funding arm of the Department of Biotechnology, has been instrumental in this happy development. Under the leadership of Dr Renu Swarup, BIRAC has funded more than 100 MedTech projects, and been instrumental in the design and development of many innovative technologies addressing critical Indian challenges. Additionally, there are other international foundations such as Millennium Alliance, Gates Foundation, Lemelson Foundation, and USAID that provide grants to the Indian MedTech sector. Venture capital investment in MedTech startups has also been increasing over the years- however; it is still negligible compared to digital and consumer sectors. This is largely due to the relatively long timelines in MedTech – 3-5 years for product development, and another 3-4 years for commercial success. However, given the breadth of opportunities in this sector, and the relatively low number of startups, this sector is getting increasing interest from savvy VCs and family offices. Most innovative MedTech products in India today have been designed and developed for low-resource, low-skill, public health facilities, and can transform healthcare for low-income consumers who depend on public healthcare. However, over 90% of MedTech procurement in government happens through the tender system- where multiple companies bid to supply a (commodity) product, typically competing on price. This method does not work for an innovative product, which is manufactured and supplied by just one company, the innovator. This systemic issue leads to unacceptable delays, and sometimes outright rejection, in deploying life-saving, affordable, innovative, technologies that are made for India. A defined public procurement system, specifically for indigenous innovative products, perhaps certified by the central government, would go a long way in getting these innovations into the public healthcare system, where they can save innumerable lives. Deployment of such innovations can also be supported through the creation of an Innovation Fund, which funds procurement and deployment of relevant innovations in a pilot district- to generate real-world data on effectiveness and outcomes and drive nationwide adoption of the best innovations. After a startup develops an innovative product, it faces further challenges in manufacturing, commercialization, distribution, and service. In the West, a startup typically partners with a large MedTech company, which takes on these activities. This partnering ecosystem is still nascent in India, with the result that most startups focus on these activities themselves, and not on their core competency of innovation and product development. As the ecosystem matures, it is hoped that India too sees such partnerships between startups and established companies, which get these lifesaving innovations to the market faster, and allow the innovators to focus on what they do best- innovate. The Indian MedTech sector is coming of age- as evidenced by the strong growth in innovative startups that are creating novel technologies to solve Indian, and global, challenges. It is important to nurture and support such indigenous innovation in these early days – as they can make India the MedTech innovation hub for global emerging markets.